1. What is Physiotherapy Exercise Class? 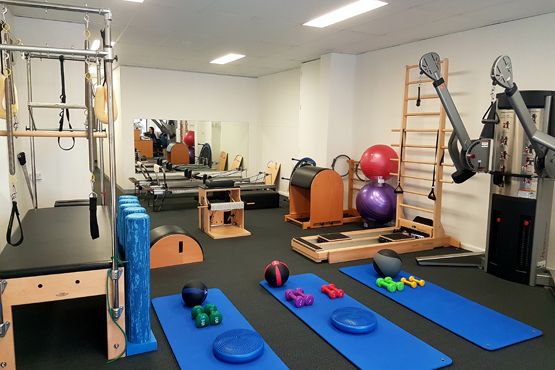 At North Shore Physio & Pilates, our physiotherapy exercise classes are an integration of gym-based rehabilitative exercises with principles drawn from the ‘Clinical Pilates Method’. The integration of Clinical Pilates encourages focus and body awareness of your movement control when exercising to increase your strength and flexibility. Absolute precision allows you to exercise your joints through a pain-free range and maintain stability as you work to strengthen the weak muscles in your body, either in isolation or as a whole with other muscles in functional or sports-related tasks. 2. Who runs the classes? Our physiotherapy exercise classes are run by a musculoskeletal physiotherapist with accredited 2-years of training in the ‘Clinical Pilates Method’. Their comprehensive knowledge in human anatomy and movement biomechanics allows them to identify the areas of weakness and instability in your body that affects your joint inflexibility and physical performance in all aspects of life. They are able to construct an individually tailored exercise programme to address these underlying issues, modify exercises according to your injury history or chronic condition (e.g. osteoporosis) and provide you with specific instructions during your workout to ensure that you are exercising the right muscles. 3. What do Physiotherapy Exercise Classes involve? Physiotherapy exercise classes are taught under close supervision in a small group environment of up to 3 participants. Our gymnasium is equipped with rehabilitative equipment and state of the art Pilates machines such as the reformer and trapeze table, which are tension adjustable and mechanically designed to assist with your movement control and muscle coordination in positions of minimal load to your joints during the initial periods. Once you are well connected to the new biomechanical changes, we will challenge you with functional and/or sports related activities which are more dynamic and require greater muscle coordination. You will also receive ongoing home exercises throughout the programme to continually improve your movement control and maintain the progress in flexibility and strength achieved from the classes. 4. How is it beneficial? Most importantly, physiotherapy exercise classes have been redesigned with adopted principles from the ‘Clinical Pilates Method’ to make it a fun, innovative and effective approach to exercise therapy. All participants wishing to participate in our physiotherapy exercise classes are required to book a 1 hour one on one consultation before they book to join a class. This ensures that you receive a structured exercise programme specific to your health and fitness goals (e.g. 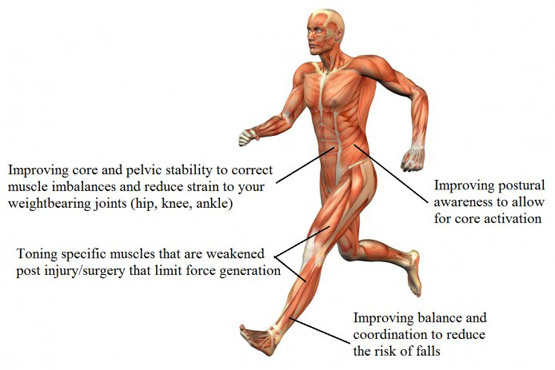 increasing your lower abdominal strength to improve trunk stabilisation and leg muscle coordination for a more efficient running technique) and modified to your injury history/chronic condition for a safe and effective workout. You will require the one on one attention initially to ensure correct activation of muscles and to feel confident with using our Pilates and gym equipment on site. 6. Can I jump straight into a class? Following your initial assessment, we will advise whether or not you require additional private sessions. This depends on your previous Pilates experience and ability to grasp a basic level of movement control and understanding of core stability, with minimal instructions required. You may also be advised to book in for hands-on treatment prior to joining a class particularly if you present with pain-restricted movement, impacting on your exercise quality. 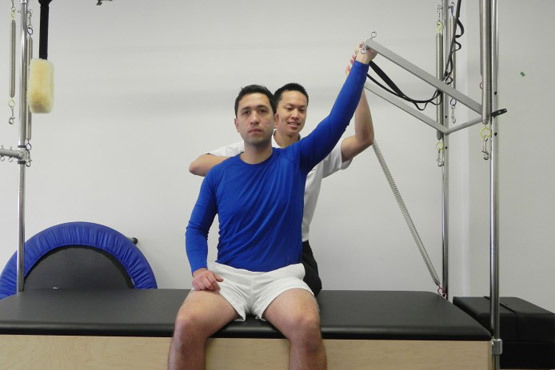 Our physiotherapy exercise consultations are available at our clinic in Castlecrag. We also offer home visit physiotherapy to service neighbouring suburbs, incuding: Castle Cove, Chatswood, Roseville Chase, Willoughby, Cammeray, Naremburn and Northbridge. Copyright 2015 North Shore Physio & Pilates . All Rights Reserved.